OpenSimSim is the only completely free scheduling solution for your hourly workforce. Build the schedule in minutes, make changes to it easily and send it to your team in a click. Free iOS & Android apps so you can manage the schedule on the go. Reduce labor costs, improve workplace communication and decrease turnover in your business. Track time and attendance, export timesheets to payroll and automate labor compliance. Used in restaurants, retail, healthcare, and many other industries. OpenSimSim working great for our daycare, with some exceptions. Pros: It's free! We had been using only paper scheduling, and had a lot of no-shows, especially when a TA was supposed to sub for someone else. TAs are now more in control (and aware of) the process of finding a sub. Cons: Printing the schedules doesn't work for us. When we print our paper schedule, we have the days of the week across the top, and the time of day down the side, and then the name of the person in each room on the chart. This is the only way our director can read it, and OpenSimSim isn't able to sort the information in this way. So we still make a paper schedule in Excell and print that, and then enter all the info in the app. Also, it would be excellent if people could enter their availability with a start date and end date. We only hire college students, and their schedules change each semester. It is really hard to enter the new semester's schedule, because they have to leave the old semester's availability in for subbing. The only other complaint has more to do with college kids than the program itself. A lot of our TAs think that they can drop a shift and then ignore it. Then when no one shows up, they're surprised that we're upset. So it still takes a certain amount of checking up on them on my part. Overall: The TAs love it, because it's all on their phone, and they don't have to keep track of a paper schedule. The only problem is if someone drops a shift at the last minute (due to illness or whatever), and I don't get a chance to approve the person accepting the shift. We haven't chosen automatic approval, because we want to maintain control of who is working in which classroom. We also haven't been able to automate the process as much as I would like because we want the schedule to be as consistent as possible for the children in our care. We have to list the shifts as one hour each because of the TAs' crazy class schedules, but we want TAs to work the most hours in one block that they can so that the children don't have all new teachers every hour. Overall, we have been very happy. The customer service is amazing. Any time I have had to contact them with a question or a suggestion, I get an almost immediate response. Pros: UI is easy to understand and accessibility on both mobile and desktop is really nice. I'm constantly referencing my phone to check when other employees are going to be working so I know how to balance the workload and who to send tickets to. I work in I.T., so knowing who is working when is really important for handling clients requests quickly. OSS is easy to navigate. Cons: There are several discontinuities in the functionality. I can view other workers schedules on desktop, but ONLY on days when I'm working. But on my phone, I can view other workers schedules throughout the whole week by turning my phone on its side. It really doesn't look great to have my phone out while at work, so this is frustrating. Additionally, requesting time off and changing individual availability (not just regular weekly availability) is a pain and can't be done through both mobile and desktop app. There are many things I can do ONLY on mobile or ONLY on desktop, but not both. Sometimes when changing my daily availability on desktop, the visual block may look like it's between two different times, but the actual time it states is several hours later. There are many similar bugs and discontinuities between the mobile and desktop apps. Pros: I've been using OpenSimSim now for over a year. I really enjoy all of the benefits of the program. Obviously, the greatest thing about OpenSimSim is that it is free; however, I also really love the ease of use. If I am unable to put in the schedule for my agents, it is easy to instruct one of my mentors to do so. The platform is colorful, fast, and the notifications setting is much appreciated by myself as well as my staff. Cons: I feel like the platform is geared more towards businesses that consistently have weekly set schedules. With the type of business we handle, I wish there was an easier way to create multiple shift opportunities for one day. We could really benefit from being able to quickly create shift intervals. The mobile app lags a bit when a shift is posted, preventing agents from applying for the shift in a timely manner. I also wish the chat system was an API that could be integrated into other programs so that everything can be uniform. Overall: Overall, I think OpenSimSim is beneficial for small businesses who are looking for something that is simple, free, but VERY effective. Pros: 1.I love that there is an app! Doggonit, that thing is awesome!! When staff can get on there and swap and not have to call or message me to make that change, that's AWESOME!! 2. The help desk people (bless their hearts) are very patient, knowledgeable and are available to help every time I have messaged them. 3. I really like that I can stay home when someone calls in. I just open my app and send out a message as well as ask individually if needed. Overall: Paper schedules were awful. It wasn't until we went to OpenSimSim that I found out how truly time consuming and wasteful paper schedules really were. After printing the schedule, it was almost always an incorrect copy by the end of the day. It was so frustrating. Now, everyone is up to date 24/7, able to see who is available for swapping and can swap shifts on their own. I appreciate having OpenSimSim as part of our scheduling process. Thank you!! Pros: I like that the software works on multiple operating systems as well as moblile devices. I find the 'landscape' feature when a mobile phone is turned sidways to be especially helpful and well thought out. I really like genaral ease of use for scheduling, removing, and adding workers, arranging time off, basically keeping everyone in communication (and thereby accountable). Cons: I have not discoverd how to do all my managent tasks from my phone, and thus must always use my computer. I don't know if that's an option, but it hasn't been intuitive enough that I have figured it out (or important enough that I have spent time to figure it out). I wish that when people sent messages that they were more flagged or intrusive, I have a lot going on and sometimes I miss messages sent through OpenSimSim... Like a pop up window or something? Overall: I have enjoyed OpenSimSim more than our previous scheduling tool. Since pretty much everyone carries a smartphone these days, the schedules are easily distributed to the employees. OpenSimSim is a time saving tool! Pros: I like that I am able to cut and paste my different schedules so it makes it easier for scheduling on a weekly basis with a staff of over 20 employees. It saves me a lot of time when it comes to scheduling. Cons: I really wish the message app would allow to have different categories to choose from so you can pick from different chats between possible areas of a business such as servers, kitchen, cleaning, Etc and it's not very easy to sort through the hundreds of messages that I get daily as a business owner from my staff. Overall: Overall, I do love this app. Customer service has been fantabulous and I've given them some ideas and they Incorporated them into the app almost immediately. I had asked about sorting the positions on a calendar so that they would go in alphabetical order because I had wanted to sort everything so the a.m. positions which show at the top of the calendar and the p.m. positions with show at the bottom. It has been a very useful tool and great for communication for my team. Pros: Cost. For the features it offered, it seemed to be a good value and they didn't insist I use their credit card processor. My staff hasn't had really any difficulty using the program. It seems very straightforward. Cons: Not that I have a lot of experience with this type of software but setting up some of the till-order details seemed like it could be more stream-lined. I know it is not specifically designed for restaurants but it would be great if it included more sub category options instead of having lots of multiple choice product group. Also, being able to have a negative charge option would be helpful when somebody want to remove an item from the meal. Overall: Initially the customer support was eager & helpful. It was a little bit frustrating to have to deal with multiple people (I kept being told that my support "person" was no longer with the company). With that said, I still found everyone to be knowledgeable and friendly. Luckily I have been able to troubleshoot most problems myself, which is good because I have found the callback time to not be especially fast with the basic package. Pros: Well thought out solid platform with all the bells and whistles of way more costly APPS but functions better, integrates easier, and the fluidity of the data is unsurpassed for an online scheduling APP !! Overall: Overall I am super excited that this APP exists and I have been using it for over a year now. I cant even begin to describe the benefits, its easy to use, simple to deploy, provides a great staff communication platform and has help tremendously in the overall accountability of my employees and ownership of their schedule. A Restaurants Dream Come True! Pros: It's Free! It's a smooth running app. It's convenient, user friendly and my staff loves using it! Overall: I first used OpenSimSim when I was a server at Urge Gastropub & Whiskey Bank. It was a convenient app that let all the employees swap shifts, pick up shifts and request time off. It was so great not having to call 10 people just to get one shift covered! I then brought this amazing time-saving tool to the restaurant as a GM. My staff was used to the old-school way of using a printed excel spread sheet and then calling or texting a bunch of people trying to switch shifts, cover shifts, time-off requests, etc.. Once I brought in OpenSimSim, they raved about how useful and easy it was to use! If you are looking for a smooth running app that saves you time and money, then GET THIS PRODUCT!!! Thanks our reps & OpenSimSim for your outstanding training, support and all around awesomeness! I'm recommending this to anyone that will listen! 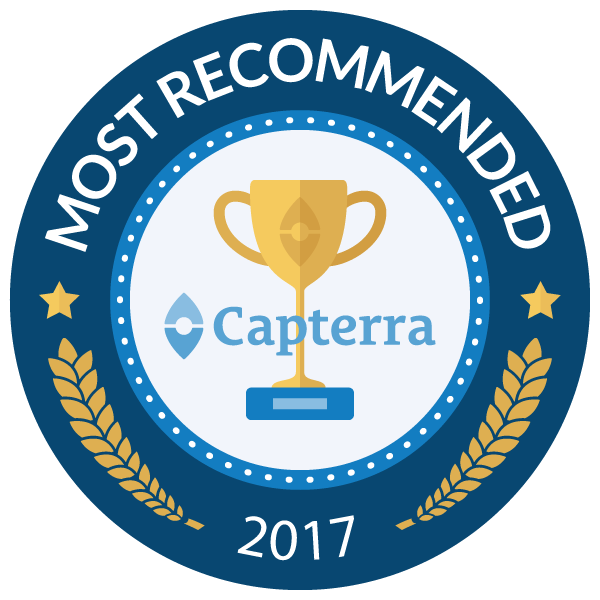 Recommendations to other buyers: I think it's the best online scheduler out there, and they really take great care of their customers needs. Thanks for the fantastic review! The team is thrilled to hear that you have had such a great experience. Please reach out to us if you have any issues :-). Pros: I like the fact that you guys actually respond to negative reviews and take a proactive approach to fixing the bugs. Also like the fact that with this app I can take my pick of available shifts and get scheduled with one click instead of being on the phone for half an hour (Securitas at Universal Studios). That's half an hour of my life that I'm not going to get back and they're not paying me for that time, it's bad enough that they want to pay minimum wage to people with specialized skills (like operating X-ray machines) but then they expect me to waste half an hour of my life; every single day on the phone trying to get scheduled. Over a period of one week that adds up to three and a half hours of my life that they're not paying me for. Cons: I didn't like the fact that I still get notifications for shifts that aren't even available any more. I'll see a long list of invitations, go through one by one - and not a single one of them is still available. It seems like once a shift has been filled it should fall off of my notifications so that I don't have to click through every single one of them just to find the ONE (if any at all) that are still available. I also don't like the fact that after I've already accepted a shift for tomorrow I still keep getting invitation notifications for shifts that are on the same day as the one I just accepted and these notifications will just keeping coming and keep coming and keep coming and there's no way to shut off the notifications - even JUST for the day that I'm already scheduled. And I shouldn't even have to disable notifications; even for specific days - when the app should already know that I'm already scheduled and don't need to be scheduled again. Our bosses even keep telling us "if you're already scheduled then DO NOT accept the newer shift notifications that come in" because apparently there have been people that accepted one shift - then another one came in that was their preferred shift; they accepted that one two and then it creates a scheduling conflict which is neither good for the employee OR the employer. Overall: Overall it has been a good experience, I say that because my best friend is a software engineer and I know it takes time to work out the bugs in any application or program. That being said there are still a few things about your app that annoy the crap out of me - like getting woke up at 3AM by notifications; AFTER I've already been scheduled when I have other apps (like GroupMe) that enable me to silence all notifications for one hour; two hours; six hours or twelve hours. Pros: I have been using it for more than a year to organize my 25 workers and it has been incredible!! Every worker can easily access his/her schedule on the app and the administrators can easily modify schedules or add/delete shifts as necessary. I don't know how we survived without this app for so long. Obviously there was a great deal less organization back then. I recommend it to everybody that needs to have the schedule always at hand, specially when you have multiples sites and workers on a day to day basis. Cons: If I had a doubt it took me a bit to solve it, although when I needed extra help I could do it with a live chat. Overall: Excellent, specially in the organization of the businees. It also has some great features, I really appreciate that they added the reminder feature to remind employees when shifts are coming up. Really easy to use. posting a schedule doesn't take more then 5 minutes and they have made it easy to copy over the previous weeks schedule. Overall: Great overall, very good product with some amazing customer service. They get back to you right away and help fix your problem. Cons: There is no way to turn off the chat and delete chat rooms as an Administrator. I understand that functionality is part of what makes the software unique, but if it is associated with my company, then I should be able to control the chat within my account. If I have a problem employee, I can fire them and remove them from the company, but the chat rooms and inappropriate posts are still there and can not be removed. Also, the ability to change employee's contact information would help. Overall: I started a new job and was tasked with managing an employee schedule for 50 employees. The method that was being used was literally a calendar with people's names on it. It was very confusing and employees were constantly confused about when they were working and trying to swap shifts was a nightmare. OpenSimSim was the perfect solution to help me clean up the scheduling data and give my employees clarification of when they are working, and flexibility to manage their shifts and availability. It has cut the time I spend managing my schedule from 10-12 hours to 1-2 hours a week. Recommendations to other buyers: Please try to add the Admin functions that are available on the computer to the mobile app. I used to have the ability to add new workers and remove (disconnect) people from my company via the app, but it was removed last update. Pros: I love that it is free. I love that whenever I have had an issue, support is always very helpful. Being able to post opportunities and send messages through the app is great. Cons: There are only a few things that I would like to see different with the software. I would like to see push notifications of opportunities. Be able to change the default settings of who can apply, because network only works better for me by default than invite only. Overall: I took over as operations supervisor of my company with added responsibility of scheduling. The old paper/pencil calendar on the wall was not working out too well under previous administration. The very first order of business was to find a program that was affordable and done the job. I found this free app and gave it a try and WOW. I am still to this day amazed that we have so much functionality and features for free. Opensimsim has transformed how we schedule and interact with our employees. I hope this company continues to grow and offer this app to us, I would truly be lost without it. Recommendations to other buyers: Just in the future if there is ever a time that charging for the app will become a thing, please let us know in advance. I work for a government entity and funding/budgeting is an issue for me and would take some lead time to get spending approved for the program. Pros: Makes it super easy to create weekly employee schedules and to create templates that make future scheduling easy. I love that it can be set to allow employees to swap and drop shifts, and to easily submit timeoff requests. The ability to limit certain periods for timeoff requests is also very helpful. Overall, a lot of great functionality with an interface that is very intuitive to use. Cons: Employees can't see timeoff already requested and approved for other employees. They might be able to adjust their timeoff requests if they could see periods when multiple timeoff requests had already been submitted by other employees (and thus would know their request won't get approved). Would also be nice if the entire schedule view could be seen on the desktop interface (rather than just on the phone). Overall: Overall, I love this scheduling tool. It's easy for me to use, and easy for my staff. Saves me lots of time creating/recreating schedules manually. Pros: The ease of use is what we like most. Any one of our coordinators can send out shift opportunities and we can keep them organized according to who sent the opportunity out. Our staff has never had a problem downloading the app onto their devices, and they all enjoy how user friendly it is. When I have run into a small problem or question, the support staff was right on top of it. Cons: It would be better if , when a staff member declines a shift, that the program would keep track of who declined. Also, a red flag of some sort for a declined shift would be good. Overall: Our company does off-premise catering for companies and social events. So we have an entire crew of people that never actually come into the shop! OpenSimSim allows a clear stream of communication with our staff. Easiest Scheduling App/Software to Use! Pros: Love the ease of use for both the administrator and the user. We have been using the OpenSimSim for a year now and have had not issues with it whatsoever. The functionality of the software is easy to use even for the least tech savvy individual. Our employees love the app and they love how easy it is to request time-off and to view their work week calendar. Cons: The administration scheduling side can get overwhelming with a large number of employees by not being able to see the week without scrolling up and down. Minor issue but would be great if there was a way to zoom in and out rather than scrolling up and down so much. But, other then that not too many cons when it comes to OpenSimSim. Pros: As an employee, it's very easy to check my schedule, see what days others are on, and send quick 'instant messages.' While it DID take me awhile to figure that simply rotating my screen showed a great calendar view with other employees schedules as well... I can still say it's a wonderful feature! Overall: Overall, it's wonderful! Even that 'con' mentioned above is not a big deal. I give it 5 stars just for being oberall very easy to use, and full-featured. Pros: Open Sim Sim is super easy to use and has the features we need without fluff we don't. It has cut my scheduling time down tremendously. The customer support is amazing and fast. The in app messaging is a huge bonus. Cons: As a scheduler we set a time period that our labor needs to lock in their availability. I really want to be able to go in and lock those days down. I can keep them from requesting off, but not from changing their availability. It is really frustrating to hit publish schedule and a warning come up that says someone is not available. Overall: Open Sim Sim has allowed me to schedule out further with the time it is saving me. This is good for the company and for our techs. Pros: With this app, I am able to keep track of forecasted sales and employee availability. You can create templates on what your basic schedule should look like and input it onto the schedule you are working on. It notifies you when you are trying to schedule someone during a time they are unavailable and gives you the option to send them a notification asking them to work at that time. Cons: I have yet to find something that I dislike or have any issues with. I have been using this app for at least 10 months and it has been great! Overall: OpenSimSim is very easy to navigate and if you do find something you need help with, they provide simple tutorials to help you out. Pros: I mostly like that opensimsim is a easy to use software that allows you to take care of your business in one setting. Easy to communicate with others and allows you to justify the app to your convenience. Pros: Once all set up the ease of use not only for management but staff as well. 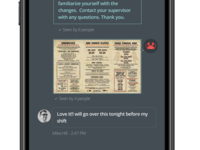 For our restaurant use it made it a lot more convenient for staff to switch shifts which manager approval without having to go find a schedule and see who is where and who is available. Great customer service when having questions. Cons: The setup process was a bit long and lack of detailed instructions turned some setup into guess work. Also the lack of ability for management to put time off requests or unavailability for staff into the schedule when inputting it. Overall: Overall very happy with the app and the benefits that it brought to our scheduling. I was a non believer! Cons: when I go to schedule someone they ALWAYS come up as Bartender then I have to switch their job title, even when bartender is NOT in their scope of work. Overall: I was a non believer in which I didnt think this product would work with our restaurant ways of scheduling. Boy was I wrong, not only is it EASIER then my old way, its much faster and everyone can see it at all times on thier phones (because we all know that everyone has thier phones by them at all times)! There were a few glitches at first, but those have been fixed and overall this is a great product. What did I do with out you SimSim??!!! Pros: The transition over to Opensimsim was seamless. The best part has been watching the platform evolve and improve. They have listened to everything their user base has asked for when it comes to functionality and ease of use, and have implemented those ideas flawlessly into the app. Cons: There are sometimes minor glitches when scheduling which transfers shifts to the wrong day, but in the grand scheme of things this is a small issue. Pros: All you need to communicate with staff members, checking rosters and updating information are provided in such a clear and easy way. Easy to manipulate, easy to use. Cons: There is trouble to sign is sometimes. Even after a few times, it took way too long to log in. There were also mixed up profile pictures when we had a group chat. Overall: An easy way to customize roster, chat to member staff, updating information. Personally, I liked the app so much. Pros: Updates come quickly (in real time) to allow me to pick up shifts successfully. It's generally straightforward to use, and I like that it reminds me how long I have before my next shift. Cons: Sometimes swapping shifts can be a little tricky, as it isn't immediately clear how to do it the first time. I also found the layout of the message function unclear - some formatting to make it clearer would go a long way. Overall: My experience has generally been positive - it makes picking up and swapping shifts far easier which means people are more likely to swap a shift than cancel it altogether, so staffing levels are generally improved as a result of this. 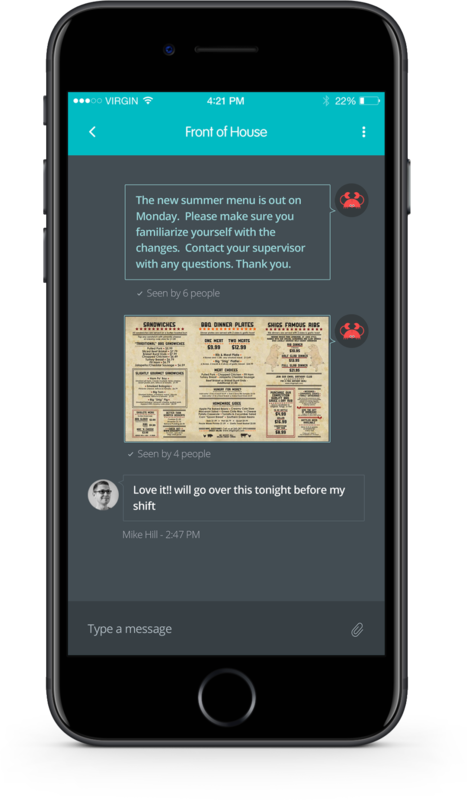 Pros: I like that myself and my staff can easily communicate between shifts through the messaging portion of the app. I also like the simplicity of it. Cons: My least favorite thing is sometime the app crashes or loads the wrong photos & name on the chat feature. Overall: With open sim sim my company is able to easily send out our schedule, update it across all devices and most importantly stay in touch with our team members with specials weekly notes, shift notes and messaging. Pros: Having an app to view your work schedule is an awesome idea. You get updates when new schedules are posted or modified. Cons: Can't see who is working if you are scheduled off for a day. Overall: We have been using OpenSimSim for over a year now and all my colleagues love it. I used to get my schedule emailed to me, then I'd put it on my work Outlook calendar, then I'd put it in my Google calendar. Now I just open the app to view my schedule. It's half the work I used to do! It is powerful yet simple to use and my staff responds quicker in accepting assignments. Pros: It has the power of programs. It is simple to set up schedules and most of my staff have been able to figure it out easily. It takes me about the same time to produce the weekly schedule, but I love being able to hit publish and be done as opposed to then spending the same amount of time cutting and pasting individual schedules to each persons separate email. My staff seem to respond faster and I'm able to make last minute changes faster.... And the fact that it is free is a huge plus! Cons: I love the flexibility offered through the use of positions and sections. It is a challenge though to remember which sections I've assigned to different positions when creating a schedule because the sections only show up when you open an individuals assignment window. It would be awesome to have both positions and sections show up in the scheduling master view. Overall: Saves me time and makes the weekly task of scheduling more efficient. Pros: This makes it easy for employees to be able to see what days they work as well as who they work with. Super easy to use for employer as well as employees. Cons: The only complaint I would have about OpenSimSim is their most recent update made it so there is no difference between managers and employee schedules so I am not able to schedule myself or my assistant manager. Use of adding and dropping shifts for employees and swapping shifts. Cons: There was a way to only allow managers/admins to set availability for employees and changes to availability require approval. For set schedules, defeats purpose of request offs if employees can set availability day to day. Overall: Overall great software. Would recommend to anyone looking for scheduling app. Pros: I enjoy OpenSimSim's easy to use software. I can easily schedule all my employees on a weekly basis and I'm given everyone's total hours for the week. I also enjoy that all my employees have access to their schedules from their phones and that all managers have easy access to confirm who is working on what days. Cons: I don't like that employees can update their availability on their own. This creates problems for me because they will change their availability rather than put in time off requests for a day off. Overall: OpenSimSim has simplified my process of scheduling employees on a weekly basis. It's drop shifts and shift swaps are convenient to keep track of who is scheduled to work. I would definitely recommend this service to other businesses. Comments: My restaurant was approached by Open Sim Sim this year and I could not be happier! Our rep and his team are always there for you with any questions or concerns. My management team used to stress out on scheduling and would work on them for hours. Now with the Open Sim app, I am able to schedule 4 weeks out in less than 20 minutes! The staff loves the ease of swapping shifts, picking up shifts, and reading shift notes at the press of a couple buttons. It's great to get the word out of anything that might be going on. Large parties last minute, servers calling out sick, etc. I highly recommend Open Sim Sim to any restaurant manager. You will not be disappointed! Excellent Software and good customer service. Pros: Ease of use, excellent communication tools, ability to manage multiple locations and still communicate across the company. Cons: Not much to complain about. Updates sometimes pose a bit of a learning curve, but that could be attributed more to users than any glitches. Even still, customer service is quick to respond and solve solutions to problems as they arise. Overall: Mobile and consistent schedule accessibility. Has also made the writing process easier so the staff has gotten more personally tailored schedules sooner, and has reduced the stress on my schedule writers. It works, but not the best. Pros: I like the ability to adjust a single day of availability and the ease of communication with the scheduling supervisor for things like time off requests. There are a lot of functions for this software, such as seeing the schedule of the whole team for the week. Cons: The feature access is unintuitive and difficult to work with. An example of this: the only way to see the full team schedule is to open the mobile version and rotate into landscape view. There are some features you can only use on mobile and some you can only use on desktop browser. Overall: For being a cheap/free program it does the job and the development team seems to be active in improving the software. OpenSimSim is unintuitive and awkward but getting better. Pros: easy to use, Employees can request off and blocks that day to avoid scheduling errors. Cons: would like to leave comments above each day for employees to see as well as managers. Pros: I can assign each employee there position for the day for the whole month. It's also a great way to let staff know if we have extra hours that are available if they want them. Cons: I have schedules for receptionists, technicians, and kennel staff I would change it so that you could see them all together and not just individually. Cons: It seems very slow and can be difficult to use at times...will say that an employee is unavailable, even though they are available. Or, will be moving a shift onto one employee and it will actually assign to another. Overall: OVERALL THE EXPERIENCE IS GREAT. THE TECH SUPPORT AND THE INSTANT CHAT HAS BEEN HELPFUL WITH SOLVING MY PROBLEMS SEAMLESSLY AND QUICKLY IN THE PAST. I HAVE ONLY EVER HAD ONE, BUT IT HELPS TO KNOW SOMEONE IS READILY AVAILABLE. OpenSimSim has made my scheduling life super easy ! Cons: - It keeps signing me out (which is not really a huge deal). 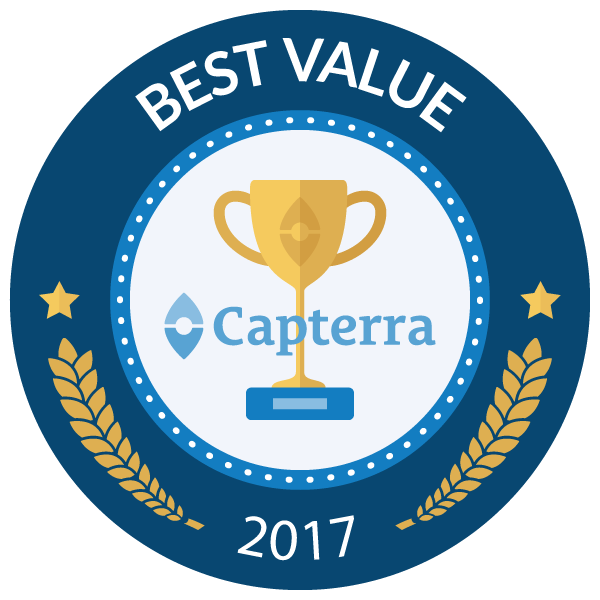 Overall: Most importantly... it allowed me to save a significant amount of time and gave me the ability to communicate very effectively with all my teams in a super easy fashion. Pros: Based on the manager/administrator role, it was fairly easy to use and understand. Some of the features are very nice, specifically the ability to add hour variations. Cons: For the employee view, it is not as user friendly. It would be nice for the employee to choose their view - whether they want to only see their schedule or certain people's or everyone's that they have access to instead of having to go into each day and choosing to see who else is on. The schedule defaults back to the first date published or created which is inconvient and frustrating. If there is more than 1 person working on the schedule, it is impossible to tell and to see if any changes were made, the page needs to be refreshed every time. There are also some limitations with the swap shifts as our employees may only swap a few hours rather than a whole shift but they can't choose specific hours. It is a complete shift swap only. Additionally, it would be good to be able to schedule lunch or break times without them counting towards the variance. There is also no way to track if someone is unexcused without it counting into the variance total unless the view is filtered. Overall: It is easy to use. The mobile version is more user-friendly than the desktop, which as we are in an office environment, is inconvenient. The mobile app is very nice to use. Overall, OpenSimSim meets our needs and we are able to accomplish what we needed. The variance feature is what fits our needs best. However, OpenSimSim seems more fitted to restaurants or maybe even retail rather than an office. Overall: Makes my ability to keep track of labor much easier than other format I've ever used. Pros: It was easy to get your schedule as well as schedule your employees. It was efficient to have the app right on your phone and be able to open it without putting your password in each time. Cons: There was nothing that I didn't like about this program. It was awesome! Awesome app with everything I was looking for. Can't beat the price tag! Pros: Has all of the features I was looking for! Cons: My staff has had a bit of a hard time picking up on how to use it. Would love to see them sent a link with an overview of the software when they're invited to join your organization in the app. Overall: This app has been a pleasant surprise. It has taken a while to get used to the software, but the customer service is amazing! Their rep is easy to contact for any help you may need. The features I like most are the ability for staff members to input their schedule availability and time off requests, the online software and matching app, the ability to see who's viewed their schedules, and the ability for staff members to drop or swap shifts easily. Updates and kink fixes are done regularly and the software just keeps getting better. Worth the time it takes to learn the new system!! Recommendations to other buyers: To new customers: Take advantage of the intro course and OpenSimSim representative! She's extremely pleasant and helpful. Pros: Easy to track shifts. Also easy to put request off in. Cons: Need to be able to find everyone's number to contact besides through the messaging thing. Overall: I liked that there as a notification saying there was an update to the schudle and you can put you time requests off on he app. Pros: Eliminates paper use, and easily accessible straight from the website anywhere. Cons: No issues yet. Shift opportunities stated as an option, but management doesn't utilize that function. So sometimes it can be deceiving and false hope when you initially click it the first 100 times. Overall: OpenSimSim has reduced management stress, giving them the ability to get the schedule to those who may leave earlier than when the schedule is posted. Pros: This software is easy to schedule employees, communicate with them and clocking in is a breeze with the app. Cons: The software in general is a little slow in the back end and the ap for clocking in is slow and sometimes freezes during clock in. Easy fix for the mobile app is to refresh the app. Overall: Great application that keeps improving every update. Team is dedicated to making this software the best on the market. Pros: The user app is quite friendly. My staff loves it and I've used many scheduling systems before. This is definitely a good one. Cons: iOS app for scheduling would be nice. Also, an ability to see other people's shifts would definitely have usefulness. Pros: Its easy to use and keeps me organized. Inputting employee schedules has never been easier. Cons: My only dislike about it is that once you terminate and employee and remove them from sim, you cant renter them in if we were to rehire.